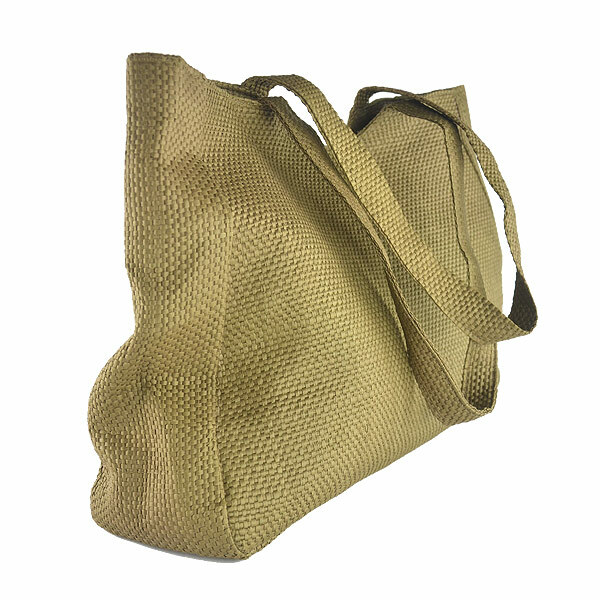 This Fashion Paper Straw Tote Bag is made from recycled kraft paper. 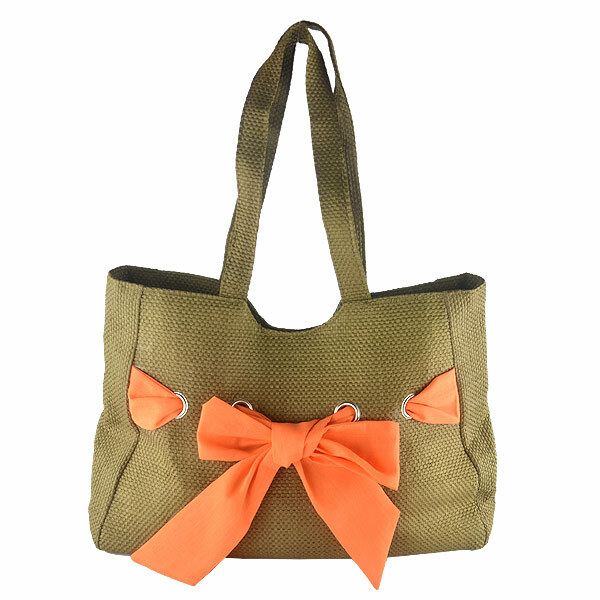 The body of the bag is decorated with color ribbon. 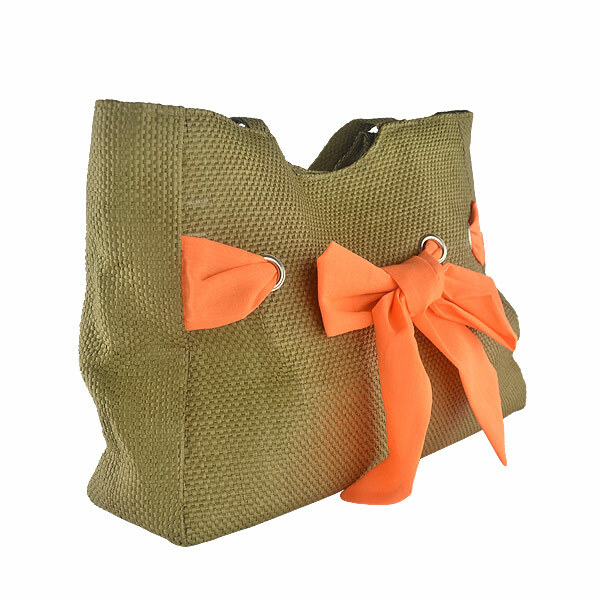 The contrast color of the bag body and the ribbon make it look outstanding and unique. This bag features a magnetic snap-button to makes sure nothing falls out from the bag. This bag entirely made with kraft paper even the long handles as well. The nature of the paper make this bag so light and easy to carry everywhere. This is definitely a pick and go bag that you can use it everyday. This bag will get countless uses _ eliminating the need for thousands of use-and-toss bags over its lifetime. This reusable bags are built to last, helping you save both money and natural resources. Made with natural Kraft paper. Kraft paper is 100% biodegradable. Kraft paper biodegrades entirely naturally. This means that these bags are not going to leave permanent residues or fragments outdoors or in landfills. Just like the leaves from the trees, kraft paper decomposes naturally within a few weeks, returning to its initial form of cellulose fibres, which can be fully assimilated back into its original natural environment, with no adverse impact on nature or human health. Paper Straw Tote Bag is light if compared to other material made handbags. It's perfect for anyone looking for a pick and go and casual look bag. It can be use for beach outing, traveling, shopping or as your everyday bag. To remove every day dirt from the bag, simply wipe the bag with a damp, clean cloth. Lay the bag in front of a fan to dry if it becomes wet. This will keep mold and mildew from growing in the bag. Do not dry clean, machine wash or totally immerse in water. This product should keep away from heat or flame. They are not appropriate for excessively moist indoor areas; and are best used in dry, well ventilated or climate controlled environments. They should never be used in bathrooms, kitchens, basements, or other damp or humid environments.